Here it is. At last I had the opportunity to stick one on the rollers. 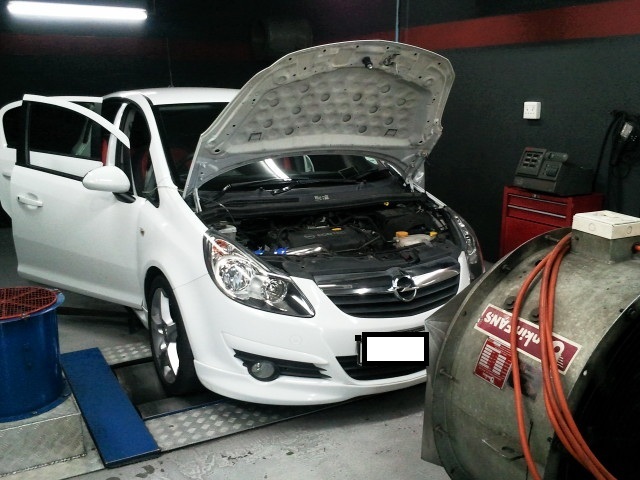 The latest version of engine fitted to the Corsa OPC is called the A16ler. It’s a much stronger engine than the previously fitted Z16ler which was plagued by the rather infamous piston no.4 failure. The car was fitted with a complete 63mm exhaust system built in house including the downpipe. The base run is including the full exhaust fitted to the car. 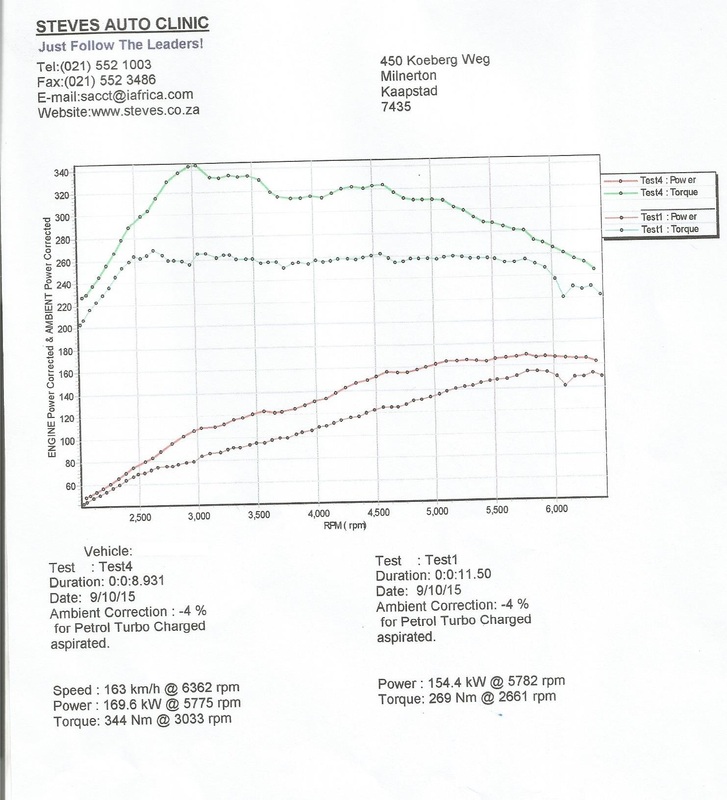 STO-tuning remapped the car to perfection, as can be seen on the dyno log. The original file from Opel was closing the throttle at high RPM for a few RPMs. We concentrated the mapping on overall driver response and not peak dyno numbers. I am very happy with the result and to confirm these gains where achieved on 95 Octane pump fuel with no additives. 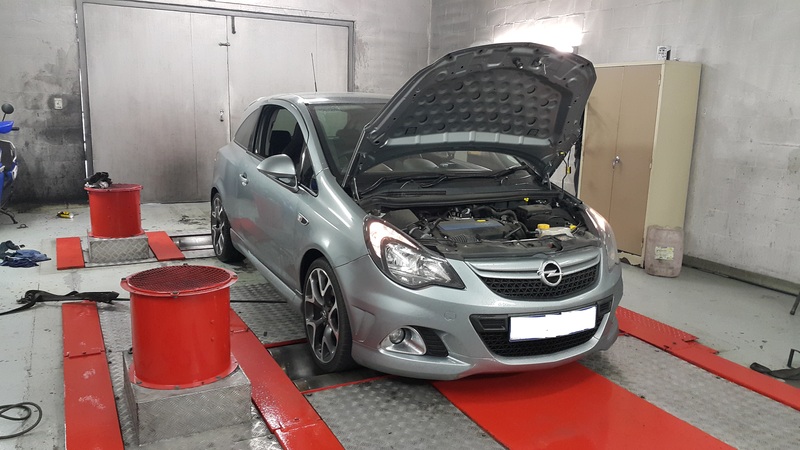 We are making a comeback on the Opel scene. This car was tuned on the dyno in real time. Modifications are complete 63mm exhaust and Cold air intake. 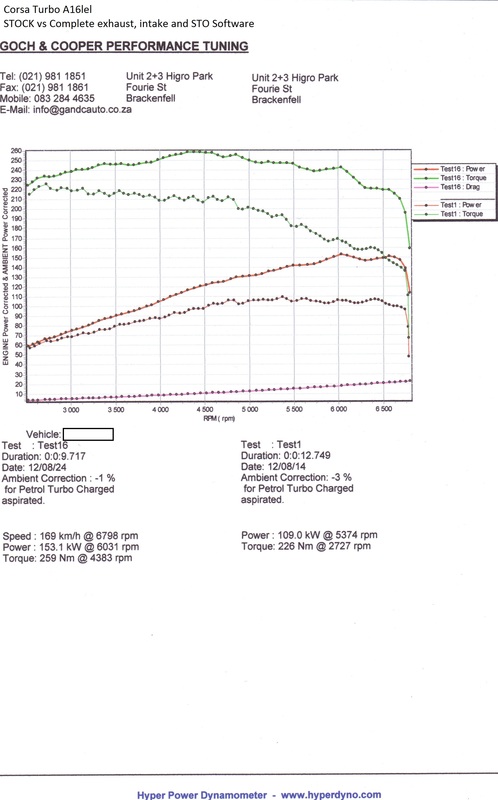 We went and tried our hand at tuning this difficult engine again, this time using a different tuning style….. and WOW!!!!! what a better package and reliable.